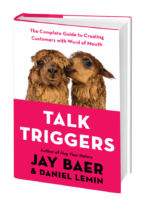 I recently had the opportunity to read Jay Baer and Daniel Lemin’s forthcoming book, Talk Triggers. Daniel answered the questions I ask of all authors. Those appear first. 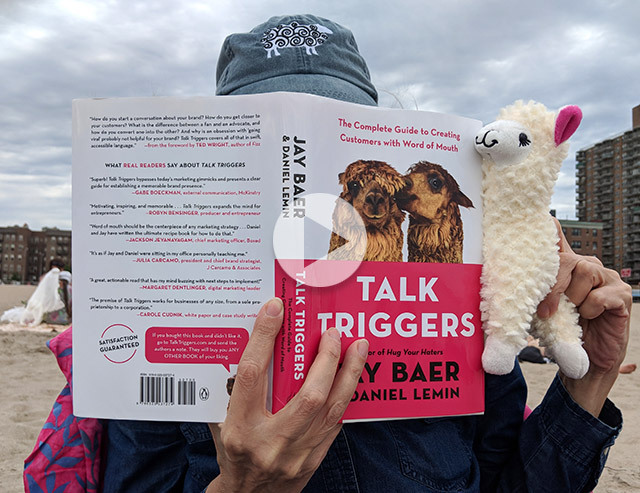 Since I interviewed Jay upon publication of his previous books, Hug Your Haters and Youtility, I asked him specific questions about talk triggers and word-of-mouth marketing. 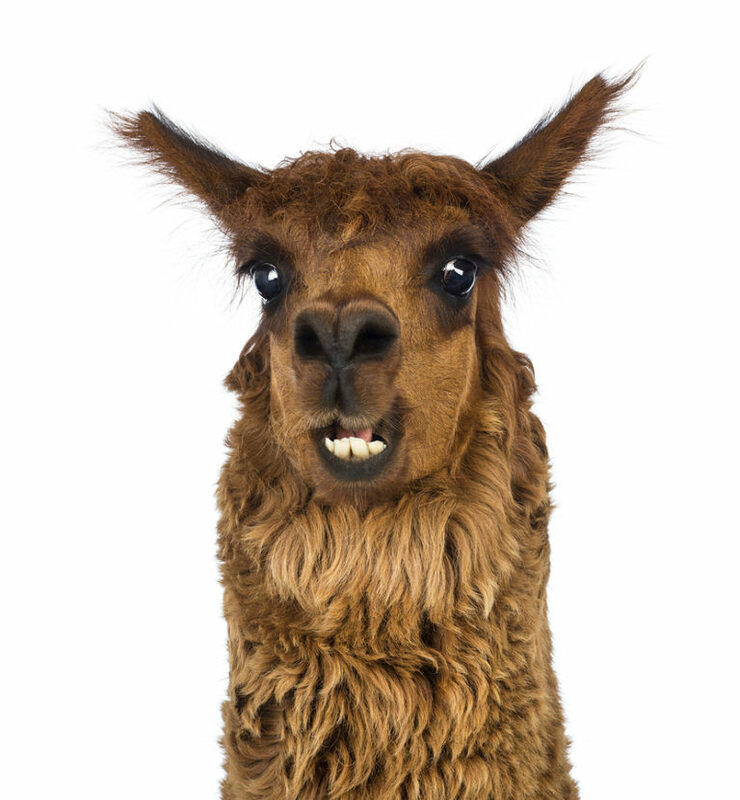 You’ll find Those questions and Jay’s answers after the alpaca. DL: Marketing is fascinating in its complexity. Consumers are fickle and their motivations hard to predict. But there is a thing that most marketers overlook: storytelling, especially the conversations between consumers. Those happen online and offline, at parties and on Twitter. People love to tell stories but as marketers perhaps we’ve failed to give them enough reason to tell a story about our brand. Q: What was the inspiration for Talk Triggers? DL: This is the single fact why wrote this book: 19 percent of consumers purchases are directly caused by word of mouth, yet businesses have no strategy to make it happen. We set out to build a systematic approach to creating word of mouth via what we termed talk triggers. DL: Businesses that are killing it with word of mouth are succeeding not by magic, but by simply doing something different operationally that gives their customers a reason to talk about their brand or product. It’s not stunts. It’s not gimmicks and taglines. It’s actual customer experience, like the gooey chocolate chip cookie that Doubletree Hotels by Hilton give out to every single guest when they check-in. They do that more than 75,000 times every single day and believe me: their guests talk about it. In a study a third of their customers had talked about the cookie without being prompted. That kind of word of mouth doesn’t happen by accident. DL: Plenty of amazing business leaders have finely tuned their marketing and brand initiatives. Few of them have thought about these operational differentiators, and that’s something we’re hoping to fix. 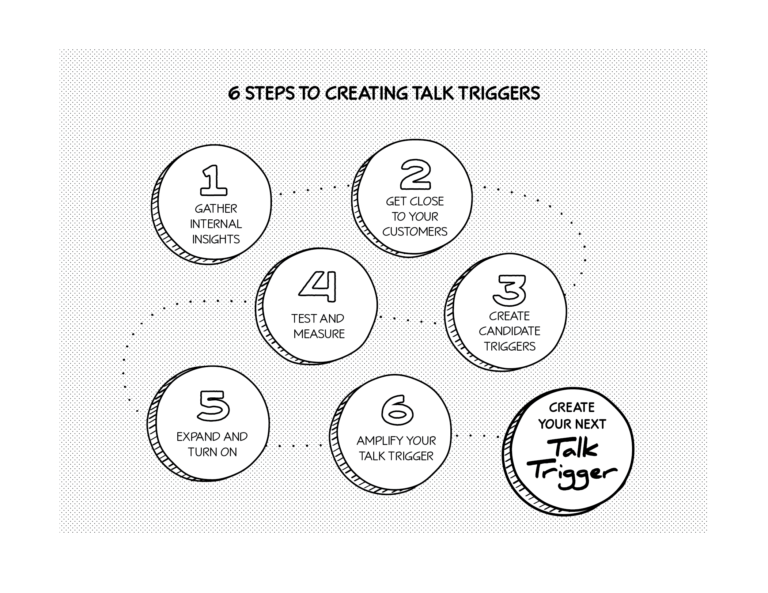 Our 6-step model for building talk triggers is exactly the tool that’s needed to begin creating a differentiator that customers talk about. DL: I’m a lifelong marketing minded business person. I’ve started companies and I helped build one of the biggest brands today, Google. When it comes to the things customers say about the brands and products they love or hate, I’ve seen it all. DL: One of the first business books I read in college was a gift from a mentor. It’s a tiny book called . Written in the 1920s from the perspective of a classic Madison Avenue ad executive, the book explores his experience working for the Golden Brown Cake Company. He explores how the obvious can sometimes be the most remarkable. It changed how I think about a lot of problems in my career. In science they sometimes call that approach Occam’s razor: the simplest solution is often the right one. DL: I’m a pretty classic introvert. In a field where extroverts seem to thrive that is a thing I’ve learned to manage. One of the best books I’ve read on this is , by Susan Cain. She lays out not just how to survive as an introvert but also make it strength. DL: I’m a pretty handy travel hacker. Coupled with my genuine passion for travel, I’ve ended up in some far reaches of the planet for pennies on the dollar, like the time I flew from Burma to Honolulu for $40 on Korean Air in first class. It was a paid ticket! 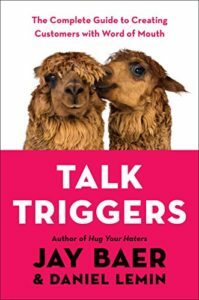 DL: I’m very proud of the launch of our book, Talk Triggers, as it has a lot of heart and soul in it that reflects both me and Jay. It’s a labor of love. But you’d have probably expected I would say that. I also did a social media and content consulting project with the Food and Agriculture Organization of the United Nations. Their aim is to defeat hunger through agriculture, forestry and fisheries. I’ve always been proud to have worked with them, and it was probably some of the more meaningful work I’ve done. DL: I’d like to address the alpaca in the room: the cover of our book. When we talked about how to design the cover of our book with the publisher, we knew that typical ideas weren’t going to fly. After all, this is a book about being different. So, alpacas were the answer. What other business book can you name with alpacas on the cover? Give your prospects and influencers something to talk about so that they create quality user-generated content like this. check out the box of goodies that Baer and Lemin sent me. Q: Why did you choose to focus on Talk Triggers? 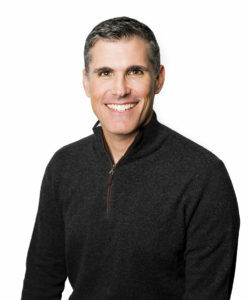 What has changed in the marketing ecosystem that made this your next pivot? For example, with Youtility you pivoted to Content Marketing and with Hug Your Haters you pivoted to Customer Service. JB: We realized that people (even major corporate clients we serve at Convince & Convert) where having trouble figuring out WHAT to say in content and social. And collectively, we’ve all gotten way too focused on the tools and tactics, and overlooked word of mouth, which is, of course, not only the original marketing but still the most powerful. 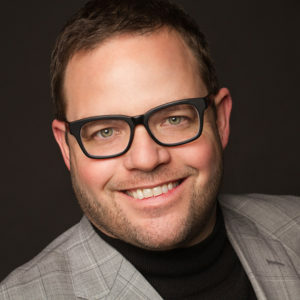 Q: How does Talk Triggers relate to your past books as part of a larger body of Jay Baer/Convince & Convert work? Has this caused you to rethink and/or change the content on Convince & Convert, other content you create as well as newsletters? 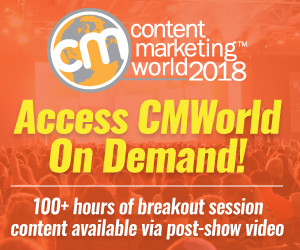 JB: Each of my projects are focused on reducing the effort and expense needed to acquire customers (via content, via service, via word of mouth). Talk Triggers is the third in a trilogy, in that regard. Certainly, now that Talk Triggers is here, we are doing more word of mouth strategy consulting, and talking more about those themes on our blog and in our email. At the same time, however, we do a lot of content and social strategy for major brands, so we won’t abandon those themes. 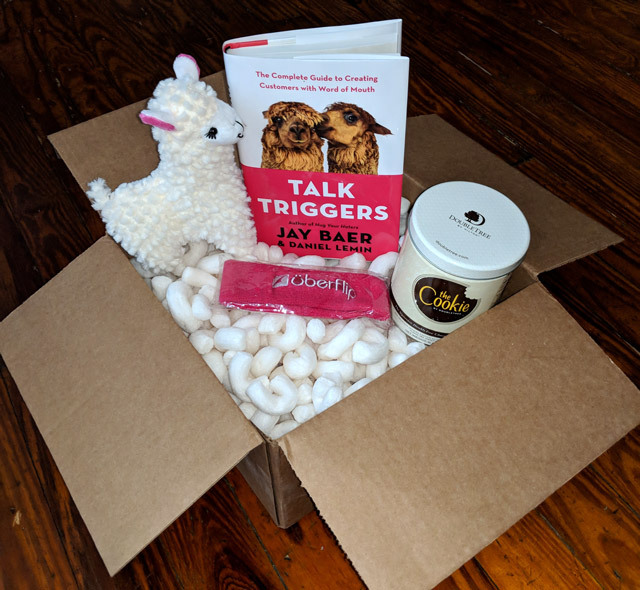 Q: What does Talk Triggers mean for social media, influencer marketing, content marketing, search, and paid promotion as well as MarTech? Is it an anti-AI approach? JB: Interesting question. I don’t think of it as anti-AI necessarily, but I do think that an effective talk triggers makes EVERY other element of your Marcom work better. 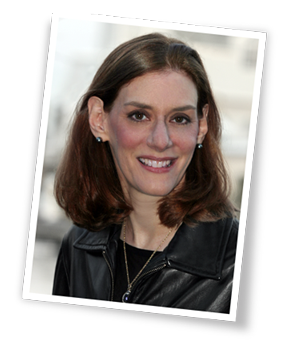 Q: How do Talk Triggers differ from WOM marketing? 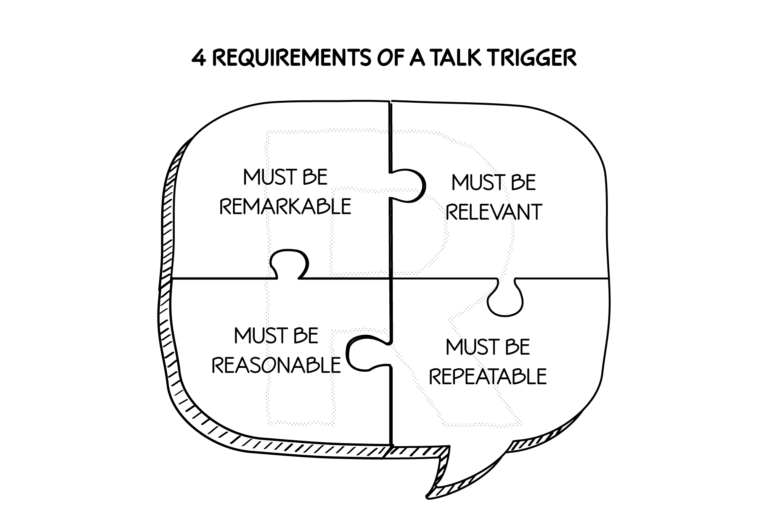 JB: Talk Triggers are strategic operational choices that compel word of mouth. Thus, I’d say that a talk trigger is the catalyst for your word of mouth marketing. The talk trigger is the story your customers tell their friends about your business.